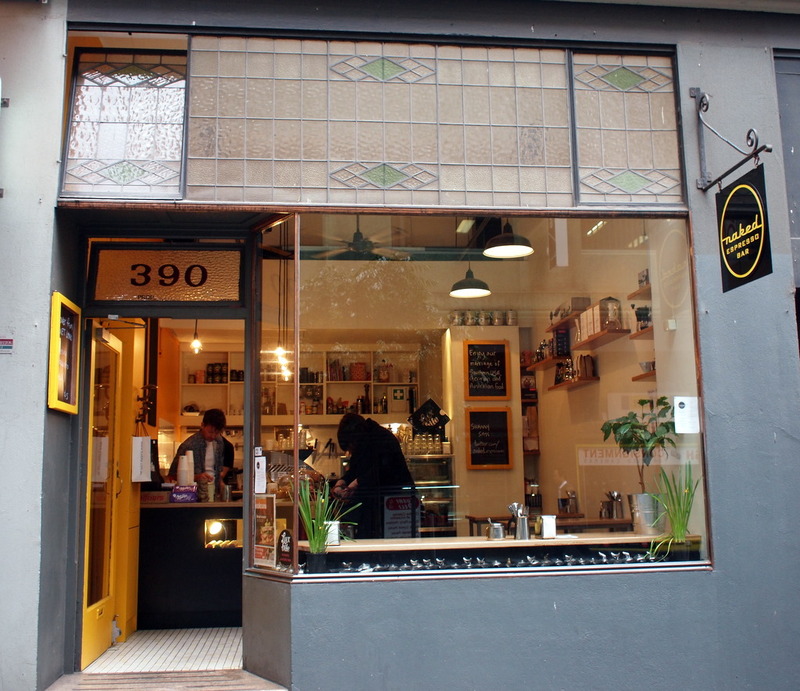 After the hugely popular CBD cafe Elevenses Espresso Bar closed down, it was only a matter of time before the awesome people running the place decided to set up shop at a new location. The result? A new fixture on Little Bourke St that is holding its own against some very weighty competition. Naked Espresso Bar is an unassuming little cafe that serves a few breakfast options including fruit toast, granola and waffles, with sandwiches, bagels and even LuxBite macarons thrown in for good measure. They serve brilliant coffee, but like I said, the competition is impressive so they might have a bit to go before they become my favourite. I am quite taken by their menu though, having ordered the amazing fruit toast (with apricots, figs and other delicious fruits) on two occasions I've been there. 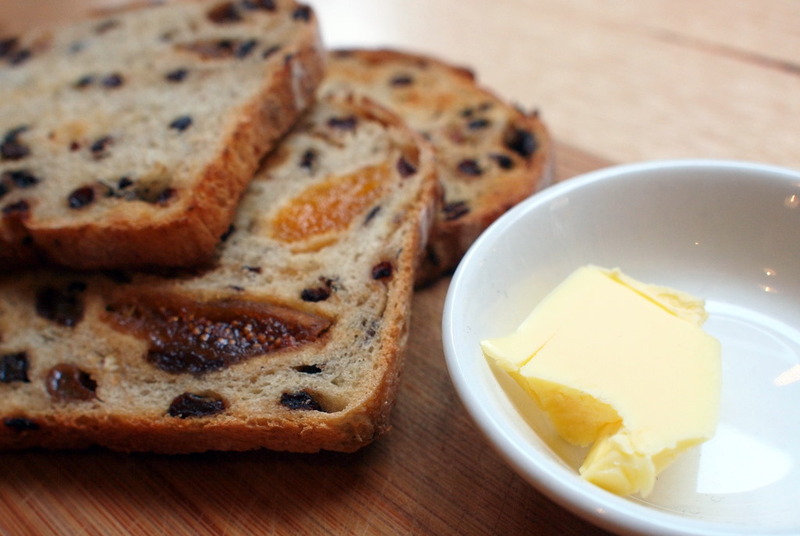 It comes out hot, and the butter just melts beautifully on the toast. I could devour a double serve, but I doubt nutritionists would consider that good practice. 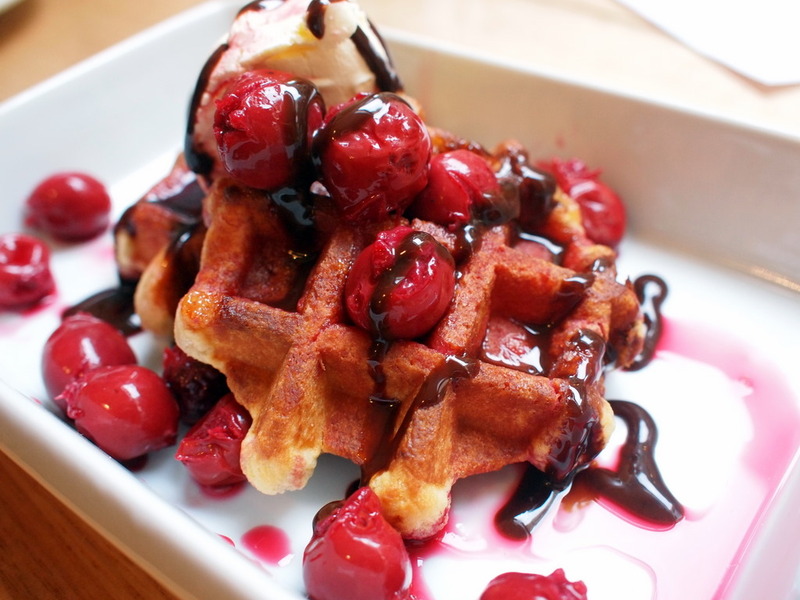 I'm not one to necessarily listen to good advice though, especially when Black Forest Waffles (with Morello cherries,cream and chocolate syrup) are also on the menu. Sweet and decadent, but not too sweet, you could do far worse on a workday morning, and I am guarantee that you'll be feeling happy after eating this. I might save this for very desperate, or very indulgent mornings though as consistently eating this can't be good for the waistline. Speaking of waistlines though, from what I hear, they also have No-Pants Mondays, though I have yet to witness that spectacle for myself. Get in on the action, you know you want to.